Guest opinion: Are you engaged? Are you fully engaged at work? Chances are, the answer is no. According to Gallup, 87% of employees worldwide are not fully engaged, but what does this mean for you and your organization? For you, it might mean that you don’t enjoy one aspect or many aspects of your job. It can make it hard to get your work done and to do it well. Actually, you might do it well but that doesn’t mean that it is something that you are passionate about doing. For your organization, it can mean an undesired company culture, lower performance and more. What can we do as leaders to improve our engagement and the engagement of others we work with? Start by being authentic. By being authentic, we can truly develop our skills and focus on the things we like to do and are good at. When we seek out things we like and enjoy, we get a greater satisfaction when the job is completed. Get to truly know your colleagues and find out what makes them tick. You may find out that what they enjoy, you don’t and vice versa. You may be able to work out a great partnership for a future task. Show gratitude. Starting each day with gratitude will make the outlook on your day more positive. Create a work culture you want to be at. Culture is key. You likely spend 40-plus hours at work; make sure it is a place you want to spend your time at. Employee engagement is at a boggling low across the world, and as leaders, we need to do our part to change that! Two decades ago, Ginny Wilson-Peters started Integrity Integrated, a leadership development and executive coaching organization that creates authentic leaders, builds dynamic leadership teams and connects leaders around the world. 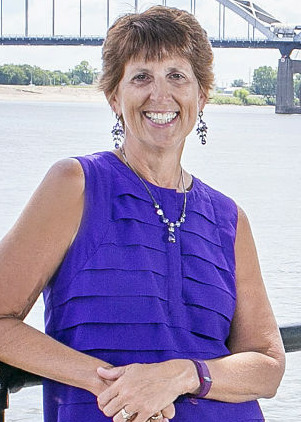 Ginny currently facilitates leadership programs in Des Moines, Cedar Rapids and the Quad Cities. She is also a lecturer for the University of Iowa Tippie Executive & Professional MBA programs. Contact her via email.